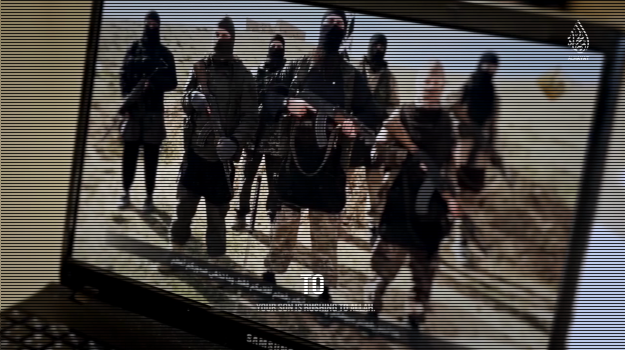 A new ISIS rap video, subtitled in English, features some of the group’s most bloody scenes of beheading and torture, while promising suicide bombers in Germany as well as New York City’s Times Square. A terrorist is shown donning a suicide belt, with subsequent imagery showing scenes from New York’s bustling Times Square, after which the bomber, dressed in western clothes, pulls the pin. The three-minute long clip was broadcast on ISIS’s al-Hayat media network, the propaganda arm that focuses on a Western audience. Images of injured western troops being evacuated are juxtaposed with graphic scenes of beheadings and the immolation of Jordanian pilot Muath al-Kaseasbeh, shown struggling as flames engulf him. At one point, the rapper says in German: “To the enemies of Allah, where are your troops? We can no longer wait, O Allah destroy them! Now listen you dogs of hell, this is a message and more are going to follow. This is just the beginning.” He promises German sleeper cells armed with suicide vests. 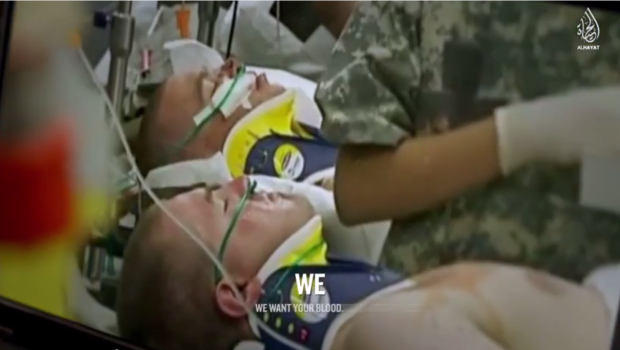 The video also showed images of President Barack Obama, former Pentagon Press Secretary Adm. John Kirby, and Chairman of the Joint Chiefs of Staff Gen. Martin Dempsey. 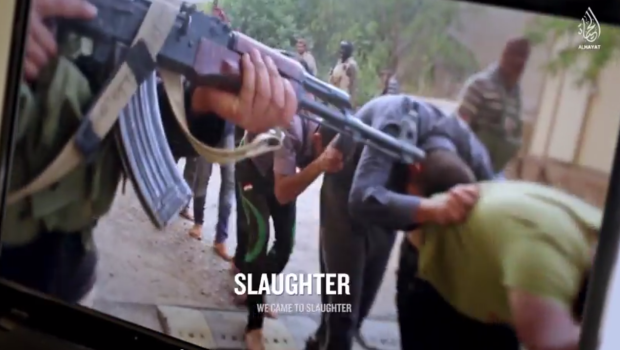 The ISIS propaganda video uses imagery of previous beheadings and scenes of abused captives. 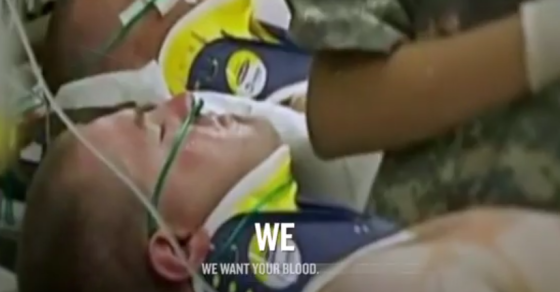 The mutilation of American soldiers is trumpeted at several points in the video.